Chaparral Self Storage has been serving the self-storage needs of the Temecula and Murrieta communities for over fifteen years. Conveniently located near Chaparral High School near the Promenade Mall, we're one block east of Winchester on Nicolas Road. 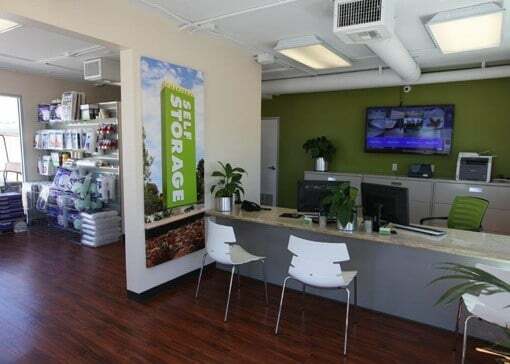 Our modern storage facility was designed with your convenience in mind. Our units feature individual security alarms, modern concrete and metal construction, bright lights and painted floors! With generous gate hours and convenient payment options, we're ready when you are so you can tailor your storage experience to fit your needs. Contact us today for clean, safe and affordable self storage solution. We are committed to creating a business storage solution to meet your needs. Free up your valuable office space and empty your overflowing file cabinets and storage rooms. Store extra office furniture, your archived files and extra inventory. We can provide you with short or long-term storage, moving and packing supplies and inventory assistance. We provide a broad array of storage perfectly suited to the needs of Riverside County households. Protect the important possessions of your child or parent; free-up valuable garage space for better family use; or store whole rooms while remodeling or moving. We offer extra-large jumbo storage units for all your oversized needs. Extra-large units provide space for storing equipment, tools, cars, boats, inventory, and supplies. They provide a mini warehouse, affording you to install racking and utilize the larger doors. Now serving the Temecula and Murrieta areas including Murrieta Hot Springs, French Valley, Roripaugh Hills and Roripaugh Ranch, Winchester, Silverhawk, Margarita Road and nearby communities.